Carnell Estate - Hurlford, Scotland. 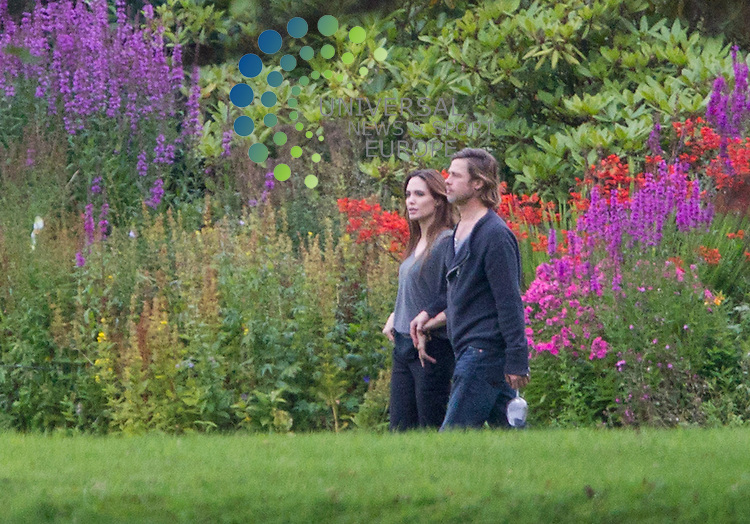 Angelina Jolie and her partner Brad Pitt, who is filming World War Z in Glasgow, take a walk in the grounds of the country house. Bagpipes could be heard playing in the background as the couple strolled together. It is believed they may have been eating haggis. The pictures were taken from the public road.. Picture: Maurice McDonald/ Universal News And Sport (Scotland) 22 August 2011. www.unpixs.com..